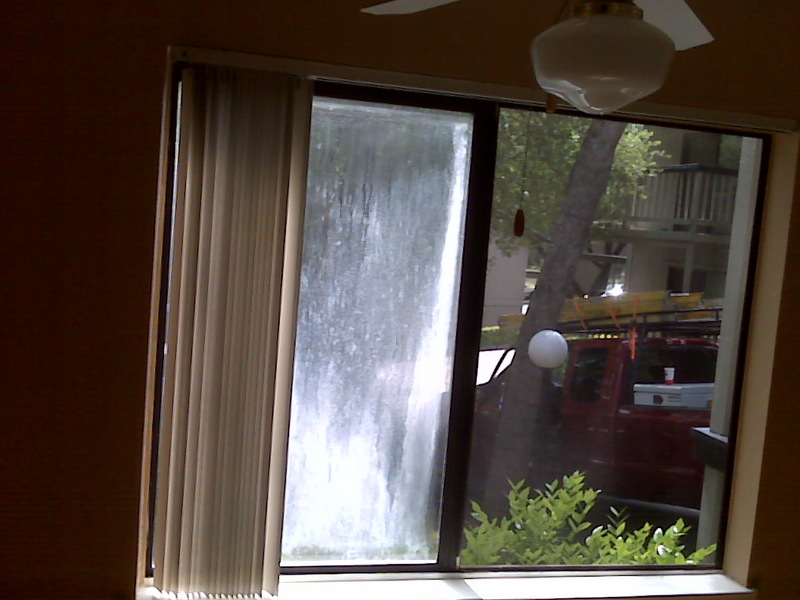 I am constantly reminded of the need to repair water related problems to homes, apartments, and commercial buildings. The building itself is not the issue, water will do damage to property, any property, if not corrected. During these winter months and the rainy season, water intrusion can start to show in ways that can lead to escalating damage as time goes by. 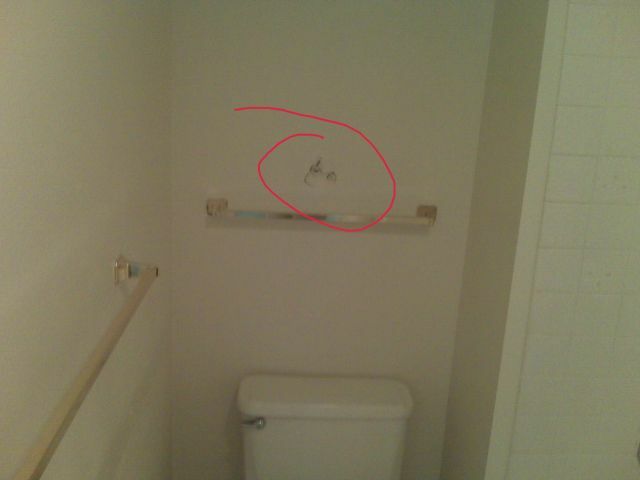 General Contractor can catch problems early! I recently was called to repair some drywall in a storage closet that had some discoloration. Opening the wall exposed a leak in the unit above. The leak was coming through the exterior concrete decking, the hot mopped tar had failed. It was raining at the time and I noticed that the gutters had a small hole and water was streaming onto the concrete deck. In examining the hole, I noticed that the gutter was full of water because the downspout was clogged. All of these things need to be addressed by the owner. Whether they do or not is not up to me. The clogged downspout causes water to flow in the wrong places – like down the wall and inside the building. The small hole caused splashing water to hit the building, doors and trim. The failed hot mopped tar will allow water to leak inside that storage closet until it is fixed. 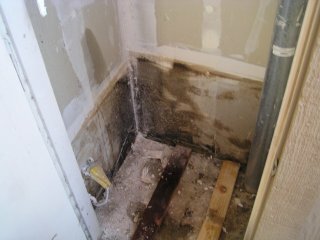 The drywall will continue to get wet, produce mildew and mold, and will need to be replaced regularly. Most water intrusion problems can be done at minimal cost if detected and addressed in the early stages – before the damages have grown. 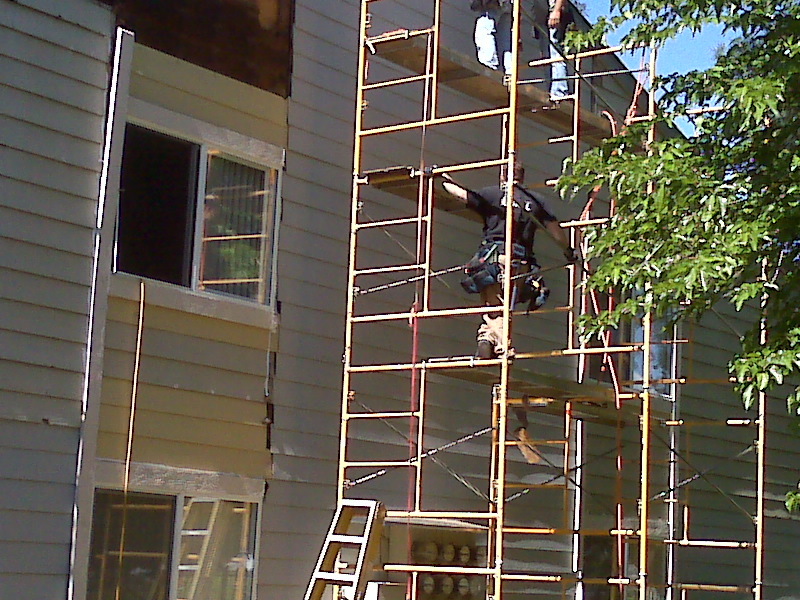 This requires owners and managers to regularly inspect the property. 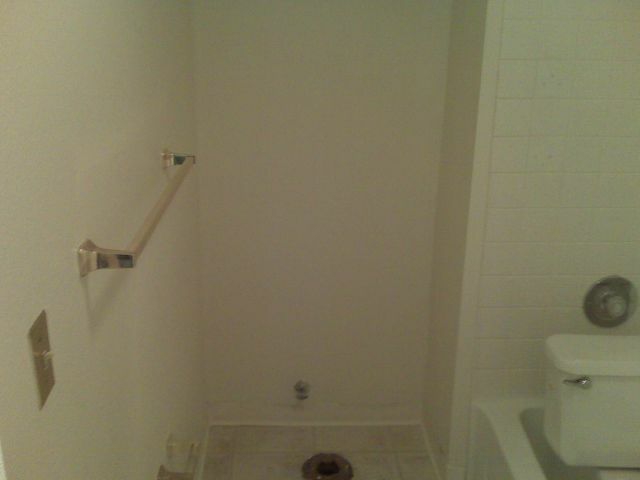 A qualified contractor can help point out the areas that need to be watched. 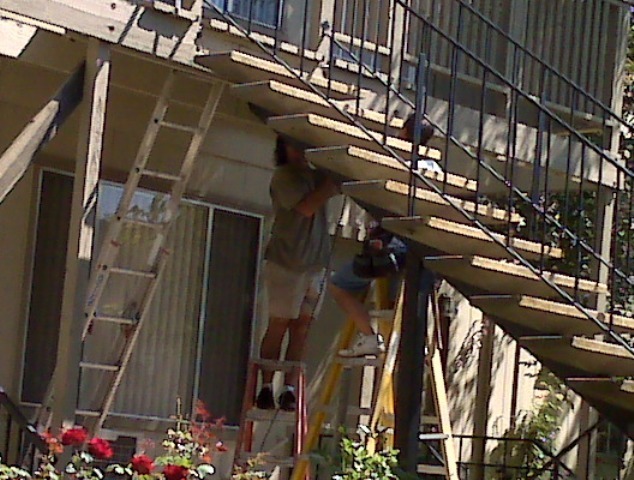 There are qualified contractors in your area that would probably be willing to do this type of inspection for you at no cost to you. It certainly would not hurt to give them a call. It’s hard to say when the most wood damage happens. Is it when the moisture is the greatest and everything is getting wet? Or is it in the spring when things are starting the dry up and new growth is beginning? Or maybe in the hot summer months when the dry rot has grown and fungus is visible on the wood. Not real sure of the answer myself, but I do know that if something isn’t done to correct it – it will get worse. As a property owner, your best bet is to find out if you have a wood rot issue. It may be that you can get by with a good wire brush and quality paint job, if you can catch it early enough. 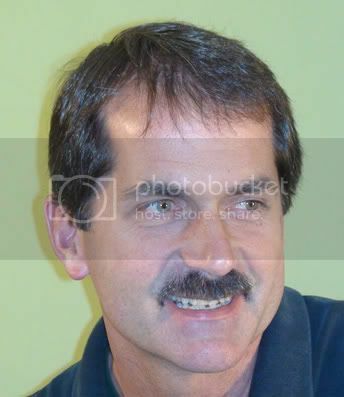 Have someone who knows what to look for check it for you if you are not sure. Better to be informed than to ignore the problem. Most con tractors that I know are willing to inspect such problems at no cost to you. 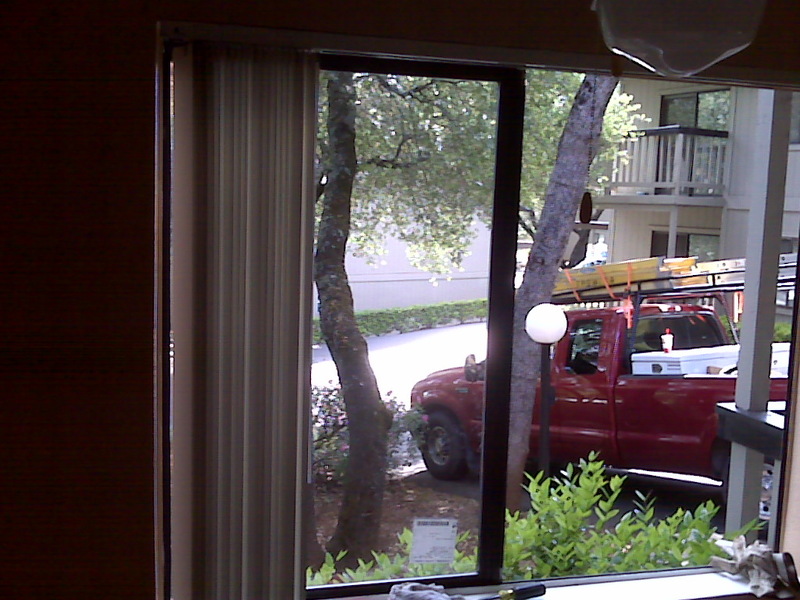 The important thing here is to correct any wood rot issues before it grows into a major problem. 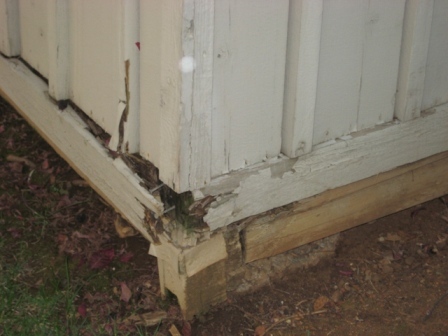 If you do have a wood rot problem several repair options may be available. The extent of the work can only be determined after thoroughly checking each individual property. 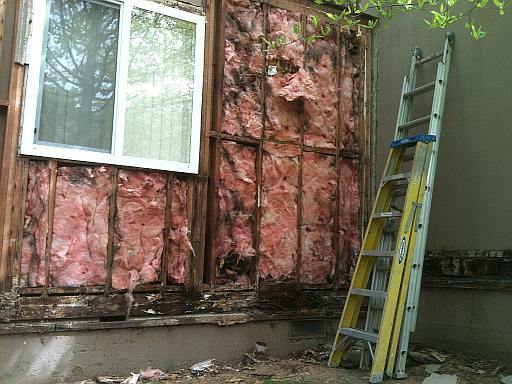 A number of general contractors have been doing a lot of dry rot repairs lately. Over time, wood products need to be replaced. 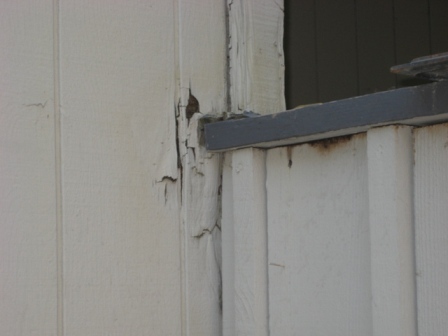 Water damages wood siding and trim, and if untreated, the problem gets worse. 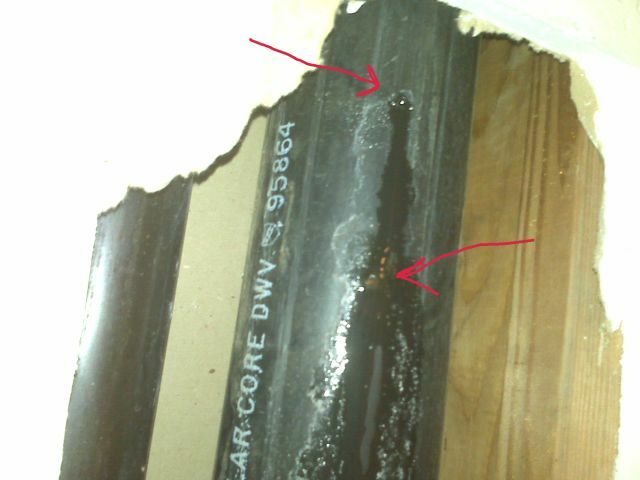 Wet and dry rot happens in areas where the wood is unprotected. 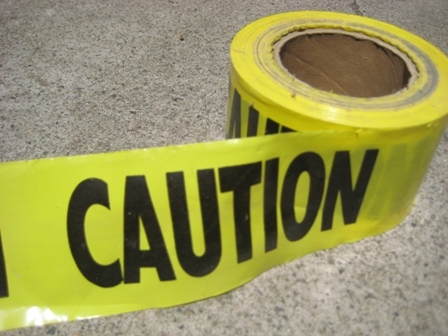 Unpainted, unsealed, and improper flashing are some of the culprits that leads to dry rot. 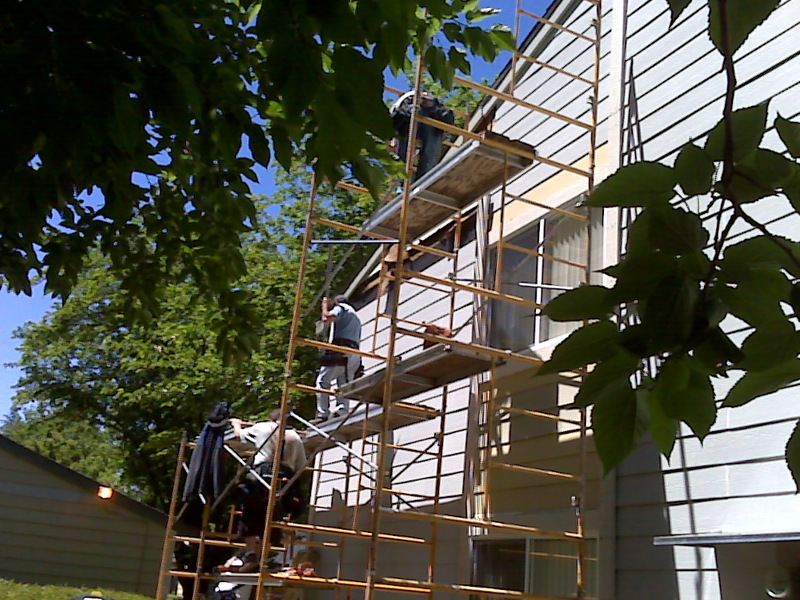 In an apartment community this can be a very large project if the maintenance of the siding and trim has been neglected for years. 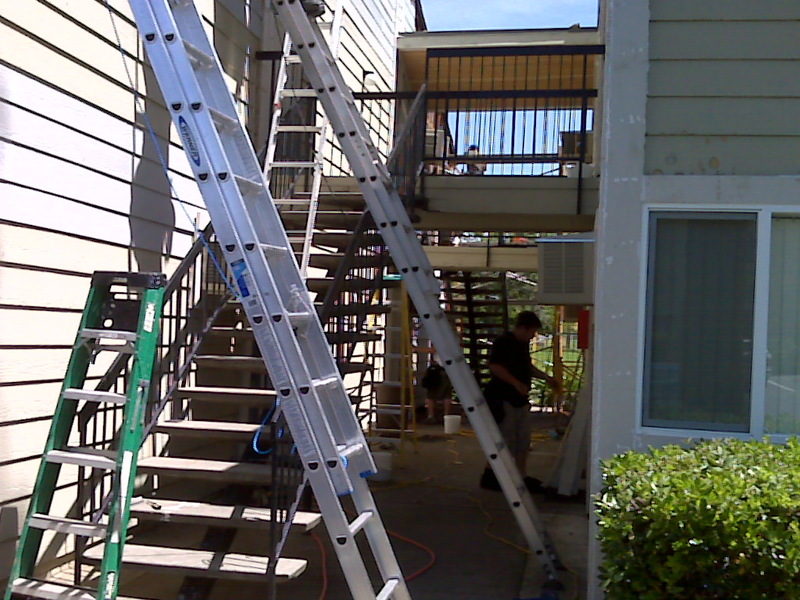 We have been removing wood siding and trim at an apartment community in Sacramento for several weeks. Tromler Construction, a general contractor in Placerville, prefers using the cemenious siding products that is available today. This siding is sold by companies like Hardi Plank and Certain Teed. These cementious products are very hard and must be cut with a special blade – it is made with cement! This also means that the product is brittle. If something were to put pressure on the siding, it will crack. The good news is the fact that the product will not rot. 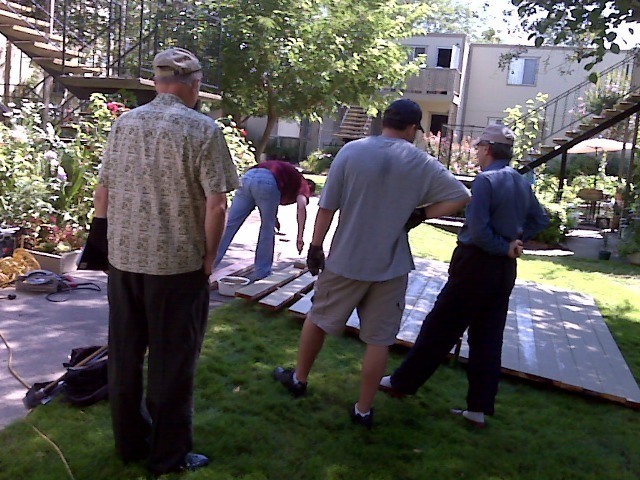 There is no wood in this siding, so it will not be damaged by water or soil.